New Delhi: The Minister for Civil Aviation, Shri Suresh Prabhu released a Coffee Table Book- “Cruising New Heights- Flying For All” here today. Shri Pradeep Singh Kharola, Secreatry, MoCA, senior officials of the Ministry, Shri BS Bhullar, DG, DGCA and Heads of Organisations under the Ministry were present on the occasion. The Publication throws light on the outstanding achievements made in the civil aviation sector during the last year. After releasing the book, Shri Suresh Prabhu observed that Civil Aviation Sector has seen exponential growth in India and the growth trajectory has continued during 2018-19. He further mentioned that the growth itself has posed many challenges and opened up new avenues. The Coffee Table Book is an attempt to capture achievements and the roadmap for sustaining and stimulating further growth and development in the aviation sector. The book will serve as a reference material which brings out challenges, reforms agenda, performance and highlights and future roadmap clearly setting short term and long term goals. The book brings out various innovative policy initiatives like drone ecosystem roadmap, green aviation policy, Rupee Raftar for financing and leasing of aircrafts and national air cargo policy which have been announced by the Ministry of Civil Aviation in the current financial year. The government’s UDAN scheme has worked well in creating air connectivity to unserved and underserved locations at an affordable cost. The third round of bidding has covered tourist destinations and water dromes. 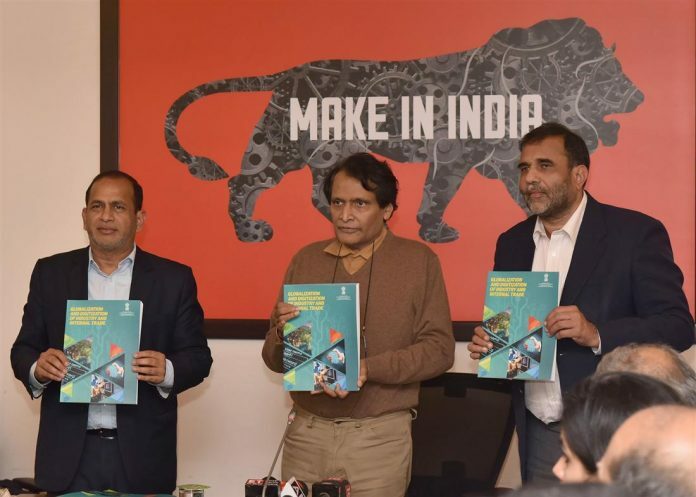 The book also lists various steps taken by the government to infuse investments for infrastructure development and adding capacity in the aviation sector through liberalization of open sky, greenfield airports and FDI policies attracting private participation, besides important passenger centric initiatives such as Air Sewa, Digi Yatra and Passenger Charter to strengthen passenger rights. It lays special focus on Make in India, manufacturing, MRO, skill development, Hub development etc. The book also captures various Global events organized by Ministry for bringing domestic and international stakeholders at single platform.